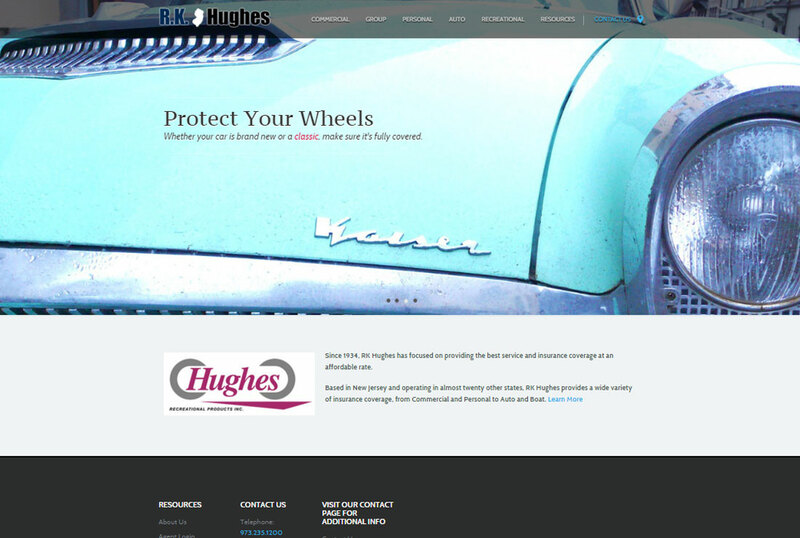 RK Hughes is a fully responsive, mobile and SEO compliant site. The full width slider images makes the homepage visually appealing. Each page has a separate form for the specific type of insurance quote.